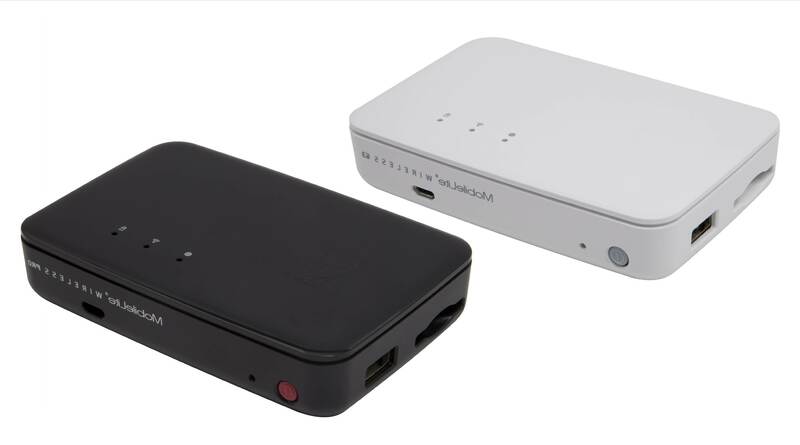 Kingston Digital, Inc., the Flash memory affiliate of Kingston Technology Company, Inc., the independent world leader in memory products, today announced two additions to its Wireless family with MobileLite® Wireless G3 and MobileLite® Wireless Pro. Now available for pre-order on Amazon.com and Amazon.co.uk, MobileLite Wireless G3 provides mobile device users an extra boost when on the go. With its large 5400 mAh battery fully charged, MLWG3 can charge smartphones up to two times1. Charging devices is also faster2 with 2A output charging maximum.